The idea to produce an F-Type Jaguar has been on the back-boiler for a very long time. And now it has finally launched one, the company has never looked stronger. 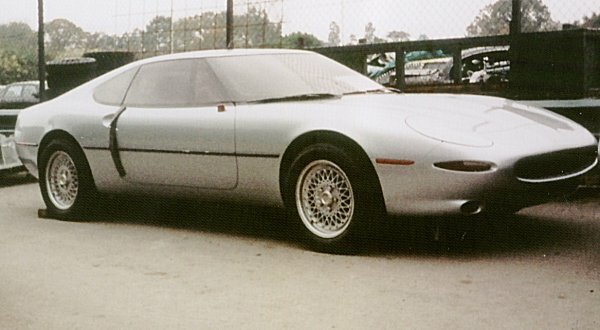 And here's the 1980s attempt at replacing one of the most iconic cars of all time, the Jaguar E-type. And during the early 1990s, the XJ41 and XJ42 came tantalisingly close to production. 1) Jaguar chairman John Egan had finally been persuaded to take charge of the company, and with his appointment came the commitment from Sir Michael Edwardes that Jaguar would fully re-gain its independence within the BL empire. 3) The XJ-S model was at the absolute low point of its career, and although it would enjoy an Indian-summer during later years, in 1980, it was unloved and unwanted. So the XJ41 (Coupé version) and XJ42 (drophead version) took shape quickly in these early months, and as the XJ40 was now nearing production (and a planned 1984 launch date), the engineering configuration would be cased closedly on the saloon car. 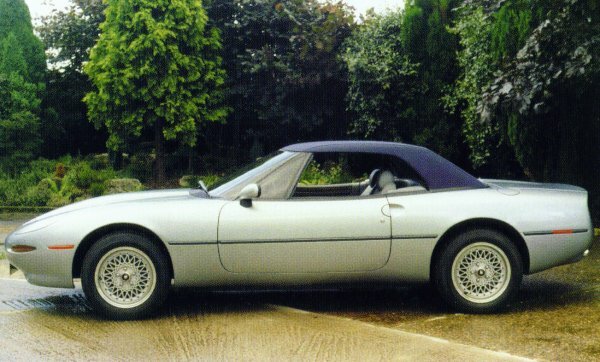 Originally, the idea was for the XJ41/42 to use the AJ6 engine (which would appear in the XJ-S in 1983), thus fitting in a range which was planned to look like this: XJ40 – XJ41/42 – XJ-S. 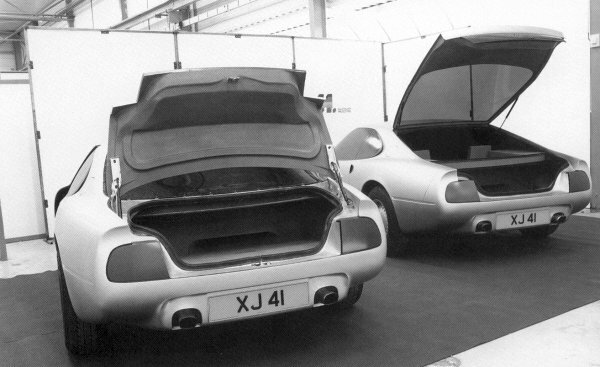 The designs were obviously inspired by the E-type, but were very much a modern interpretation of the ideal. So, that meant a low-drag shape, smooth and bumperless front and rear, and curves galore. Another obvious influence was the 1978 XJ-S Spider, as styled by Leonardo Fioravanti, Sergio Pininfarina and Renzo Carli of the great Italian styling house, Pininfarina. 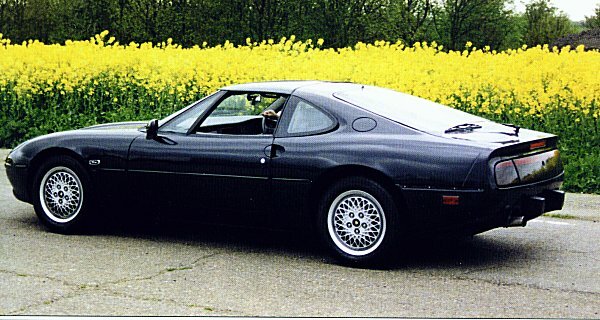 Jaguar was in on the development of this car, having donated the ex-development XJ-S to Pininfarina to work on. With the styling and engineering of the XJ41/42 coming into focus quickly, BL management wasted little time in backing the car. Sir Michael Edwardes gave the car his approval, and it was signed off for production in July 1982. 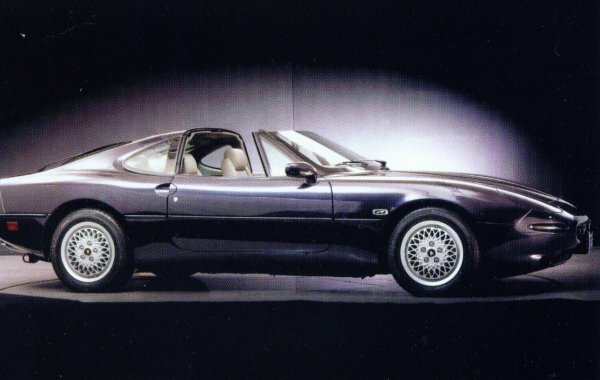 Development moved swiftly on – by January the following year, styling models were being entered into customer clinics, and a lauch date of March 1986 was set. As the project progressed, problems started to manifest themselves. The XJ40 was delayed, and the knock on effect was that the XJ41/42 was also put back: a 1986 launch date moved back to late-1988. This provided further tests for the Jaguar development team, because during the Eighties, rival manufacturers were producing increasingly powerful cars, and this meant that the XJ41/42 had to raise its game to meet the challenge. The 4.0-litre version of the AJ6 was installed, and a twin-turbo version developing 330bhp was developed. Thanks to the success of Jaguar at the time, and the expansion in sales and profits, the company felt increasingly confident about the F-type. More weight was added, and it became greater in girth – so much so, that it became wider than the XJ-S and – remarkably – less commodious. Still, the matter of replacing the XJ-S became less pressing, thanks to its burgeoning success, thanks to the new AJ6 versions, the cabriolet and the full-blown convertible. The year of 1987 appears to have been when the seeds of the XJ41′s destruction were initially sown. 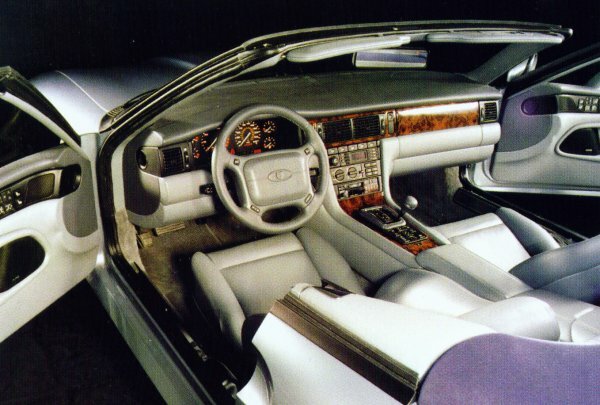 The carry-over XJ40 suspension system was questioned, the turbo and 4WD derivatives were firmly cast to the fore, the crash structure was again revised, the interior changed for a bespoke design. 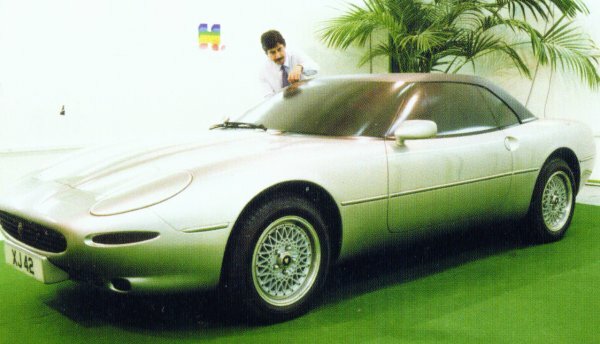 These heavier and more powerful versions had been originally suggested in 1985, to counter the car’s increasing weight and girth – but in the end, these were taken as the standard versions in a 1987 review of the project. 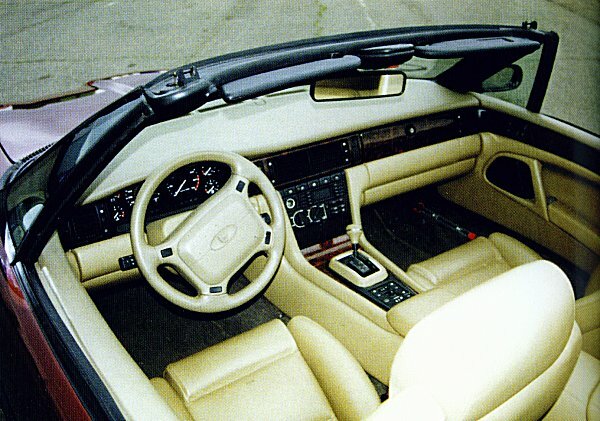 In 1988, the F-type gained four wheel drive on the turbocharged version, which added further weight and complication. No doubt, it was moving further away from 'purist' XJ41/42 of 1980-1982. The German coachbuilders, Karmann were commissioned to build three fully finished prototypes, which would undergo final testing before tooling up for production. By now, the two body styles were settled upon: the convertable and a coupé, which had a Rover Tomcat style lift-out roof. looks more appealing than the XJ40's. 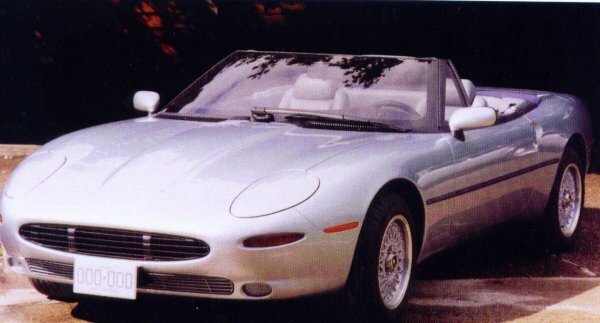 According to CAR magazine, the twin-turbo targa version easily exceeded 170mph in tests at Nardo in Southern Italy, and although the F-type was overweight, massively delayed and unlikely to see production until 1994, it still generated much excitement in the press. Everyone wanted to see the introduction of Jaguar’s F-type. Sadly, it was not to be. 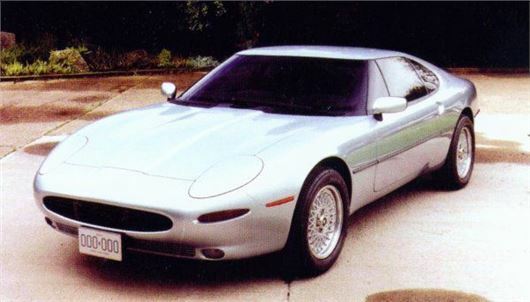 Ford bought Jaguar lock, stock and barrel at the end of 1989, and immediately set about a full review of the company. Every project was put under microscopic review, and when Ford’s management saw just how much investmentment Browns Lane would need in order to compete effectively in future years, it decided to make this (and the quality of the cars already in production) a priority. The F-type didn’t stand a chance: it was late and overweight and the whole project had lost focus. The XJ41/42 represents a wonderful opportunity lost for Jaguar, and although it was still a beautiful car to look at. Yes, in its overweight form at the end of the development phase, it deserved to die because it was a project that lost focus and direction, it still amounts as a lost opportunity. 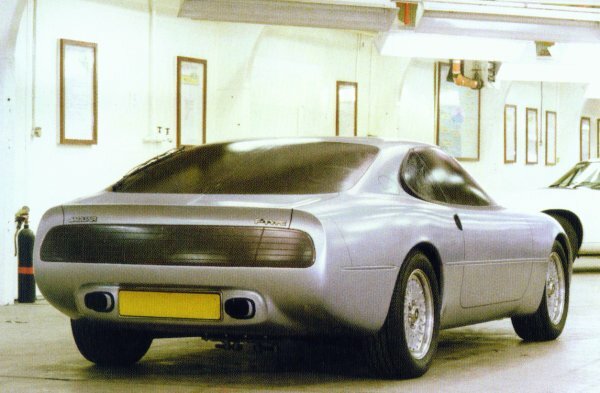 And this is because one can only wonder what the original 'pure' concept would have been like on the road: a firmer XJ40 chassis in a lighter and slippery body amounts to one hell of a proposition. It is a shame that the company lost focus of that during the 'fat' years of the 1980s, deciding instead to lose commonality with its saloon cousin and stuff it to the gunwhales with extra equipment. Rear view shares similarities with the 1978 Pininfarina car. they were a fitting pair of cars to wear the F-type moniker. 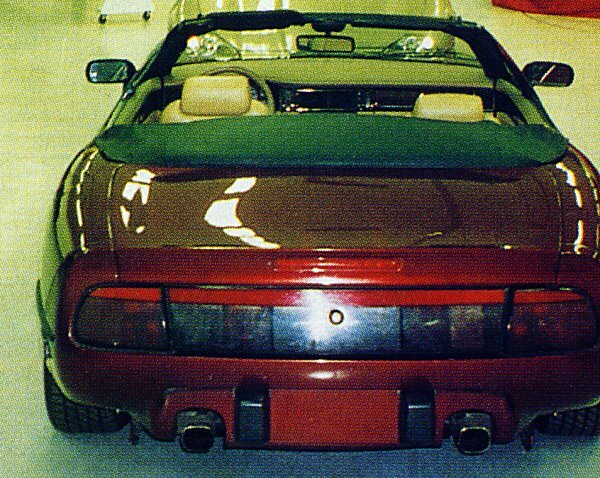 Targa roofed XJ41 - the best of both worlds? opposition, a real breath of fresh air. Drophead version looks as good with the hood up as most cars do al fresco.